On the site of the former Coral Café, next to the Zoo’s main lawn it is twice as big as the previous facility. 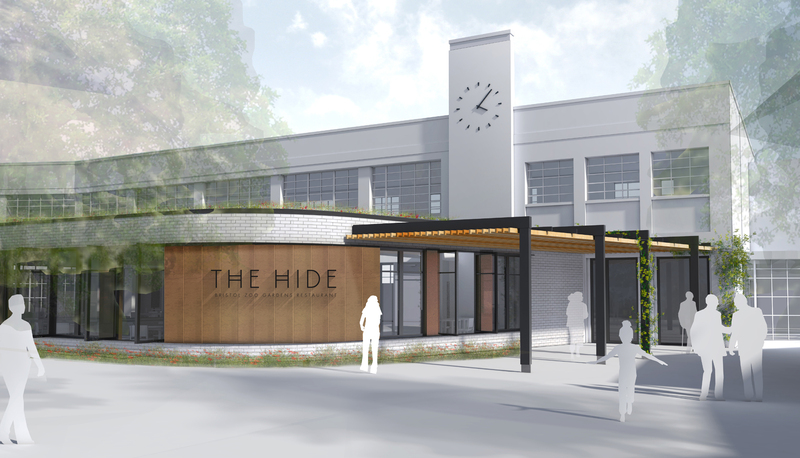 The new concept is called The Hide and offers a fun and immersive dining experience, taking design inspiration from nature and animal habitats from around the world. It uses textures and materials to replicate those found in the animal world and will include marine, undergrowth, horizon and canopy-themed zones. Opened in the spring, The Hide offers improved ambience, seating for up to 300 guests in a relaxed, family-friendly environment, table service and a range of hot and cold food and drink options. 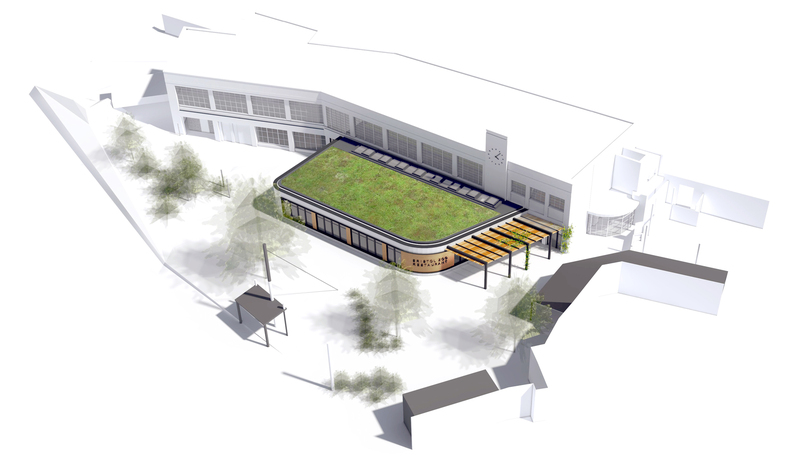 The construction of the new restaurant has included the removal of the café’s old external canopy and the addition of a single storey to increase capacity, come rain or shine. The Zoo’s restaurant is run by a catering partner, award-winning Levy Restaurants UK, which has partnered with the Zoo for the past decade. Together with Levy Restaurants UK we are developing the best Zoo restaurant in the UK; a fantastic, stress-free dining experience in the heart of the Zoo. Guests will have a choice of themed dining zones based on a range of animal habitats in a totally unique, relaxed atmosphere. It’s a very exciting time and we are very much looking forward to revealing the new restaurant to our guests later this year. The Hide will deliver a strong emphasis on fun combined with great food and drink. New menus will include a range of home-made dishes and snacks to suit all tastes, with the focus on nutritious and fun meals for kids and the entire family, using the best local, seasonal, ethical and sustainable ingredients. Our menus will offer all day service, from hot breakfast and lunch through to afternoon tea. It will offer the same casual and fun dining experience that you might find on the high street, with all the extra fun and theming you would expect at Bristol Zoo. Whilst the new facility is being developed, a temporary café is available in a large marquee on the Zoo’s main lawn, offering the usual range of hot and cold food and undercover seating.